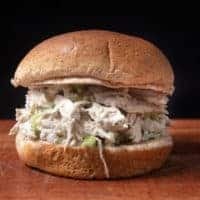 Make Tender & Juicy Instant Pot Shredded Chicken in 30 mins! 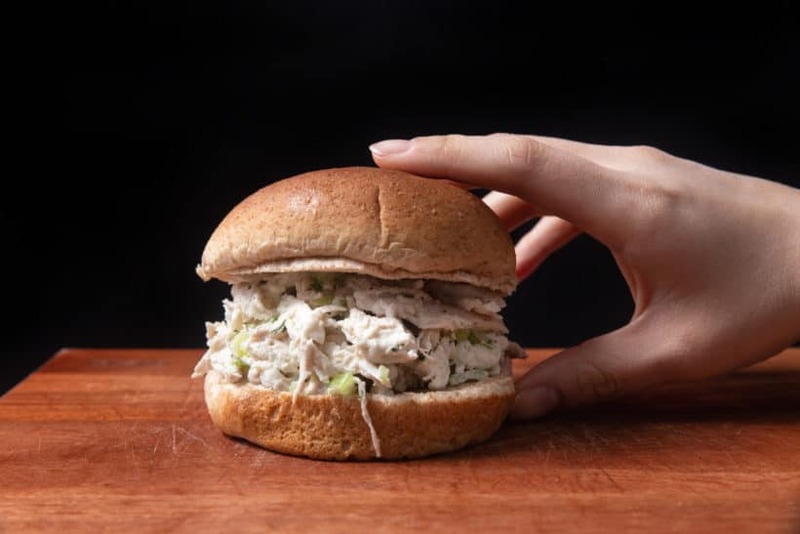 Make-ahead, kid-friendly pressure cooker shredded chicken is deliciously light, creamy & refreshing. Great for sandwiches or wraps for lunch, picnics, parties, or potlucks! 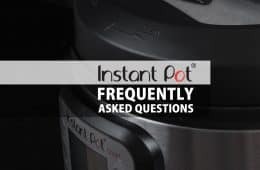 We’re thrilled to hear your love for our latest Game-Changing Method for making Tender & Juicy Instant Pot Chicken Breasts! So, we’re ready to share some more quick & easy chicken breast recipes for you to enjoy! The best part? You can make ahead and store the shredded chicken in the fridge. Time for some Refreshingly yummy Shredded Chicken in Instant Pot! 1. 4 cups (1L) of Water is not a typo! 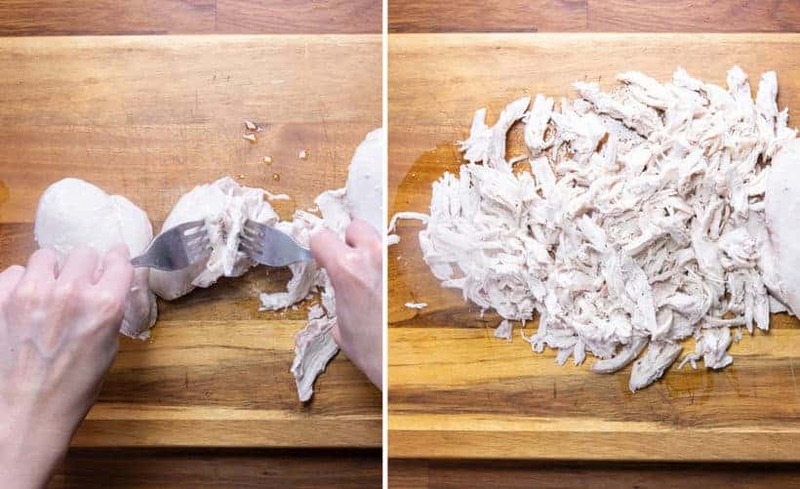 For this shredded chicken recipe, we’re using the deep poaching method in Instant Pot to cook the chicken breasts. So it’s critical to ensure all your chicken breasts are at least 95% submerged in the water. Yes! You can “pressure cook” at 0 (zero) minute! How can that be?! We’re setting the pressure cooking time to 0 (zero) minute because we’re using the heat generated during the “building pressure” stage AND the “depressurizing” stage (i.e. 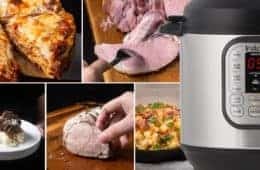 when Instant Pot is natural releasing) to cook the whole chicken. Ensure to measure your chicken’s internal temperature with a Food Thermometer, and the chicken breast’s internal thickest part reaches at least 165°F (74°C) after resting. 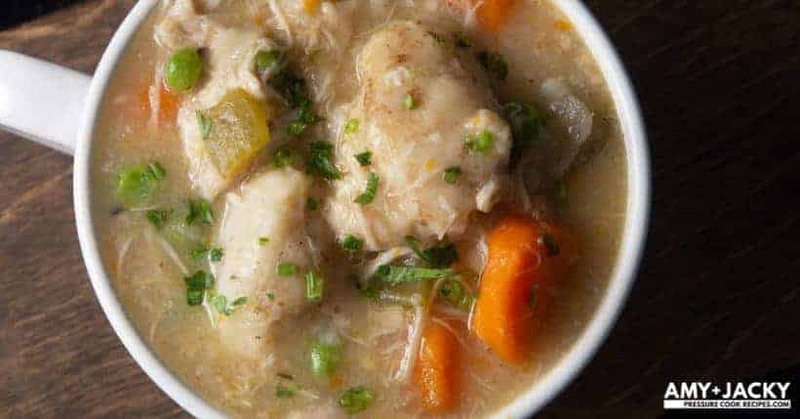 Pressure Cook Chicken Breasts: Add 4 cups (1L) cold water and 3 (885g) boneless, skinless chicken breasts in Instant Pot. Pressure Cook at High Pressure for 0 minute (zero minute), then 10 minutes Natural Release. *Note: 0 minute (zero minute) is not a typo! We're using the heat from the "Pressurize" Stage + "Depressurize" Stage to cook the chicken breast in Instant Pot. 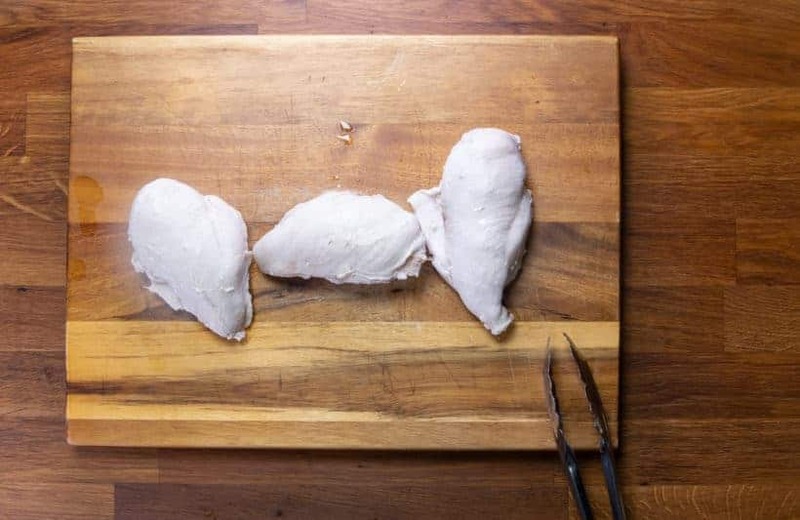 Shred Chicken Breasts: Place chicken breasts on a chopping board, then check internal temperature at its’ thickest part with an accurate food thermometer. With two forks, shred chicken, then let them cool to room temperature. You can use your desired dressing & seasoning to spice up the shredded chicken. If so, skip Step 3 & 4 below. *Note: The USDA recommends 165°F (74°C) as the safe internal temperature for cooked chicken. 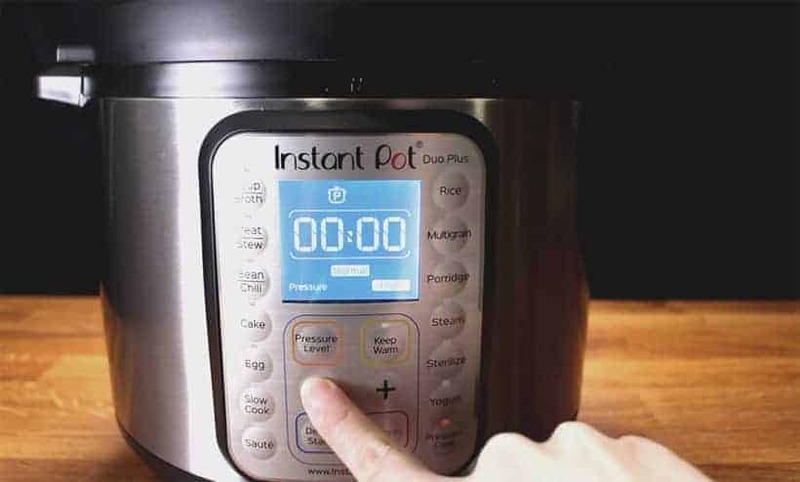 If the temperature is off by more than 10°F, quickly place the chicken breasts back in the Instant Pot Pressure Cooker. 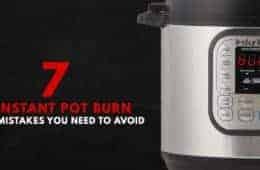 Close the lid, then let the residual heat in Instant Pot cook the chicken breasts for 1 – 2 more minutes. If not, let the chicken rest until it reaches 165°F (74°C). For reference, our chicken jumped to 165°F (74°C) after resting for 3 minutes. 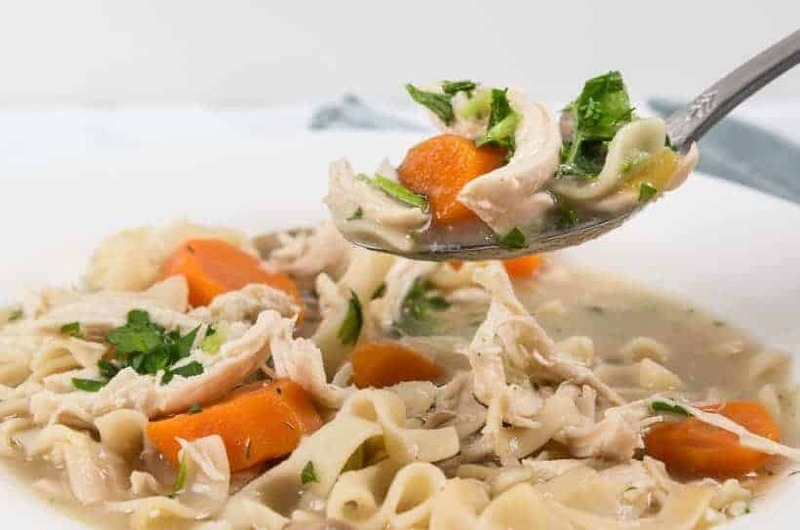 Make Shredded Chicken: Place Instant Pot Shredded Chicken in a large mixing bowl. 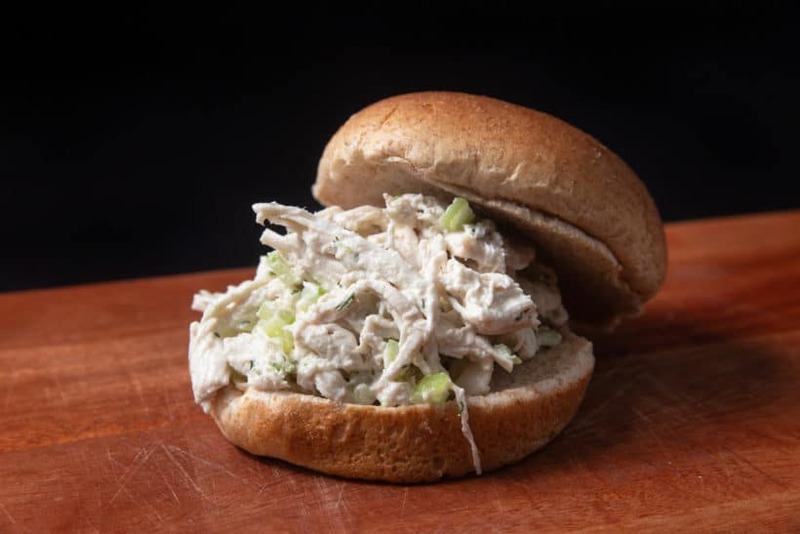 Add finely diced celery, 1 tbsp (15g) dijon mustard, and ⅓ cup (82g) full-fat mayonnaise to the shredded chicken. Mix well with a wooden spoon. Add in ¼ tsp garlic powder, 1 tsp (2.4g) finely chopped parsley leaves, 1 ½ tsp (3g) finely chopped dill, and 1 tbsp (15ml) lemon juice. Mix well with a wooden spoon. Add 4 cups (1L) cold water and 3 (885g) boneless, skinless chicken breasts in Instant Pot. *Note: 0 minute (zero minute) is not a typo! We’re using the heat from the “Pressurize” Stage + “Depressurize” Stage to cook the chicken breast in Instant Pot. 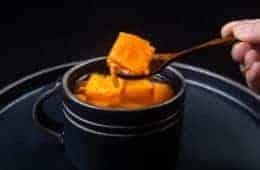 Place Instant Pot Chicken Breasts on a chopping board, then check internal temperature at its’ thickest part with an accurate Food Thermometer. *Note: The USDA recommends 165°F (74°C) as the safe internal temperature for cooked chicken. 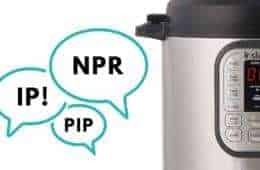 *Pro Tip: If the temperature is off by more than 10°F, quickly place the chicken breasts back in the Instant Pot Pressure Cooker. Close the lid, then let the residual heat in Instant Pot cook the chicken breasts for 1 – 2 more minutes. With two forks, shred chicken breasts, then let them cool to room temperature. You can use your desired dressing & seasoning to spice up the shredded chicken. If so, you can skip Step 3 & 4 below. 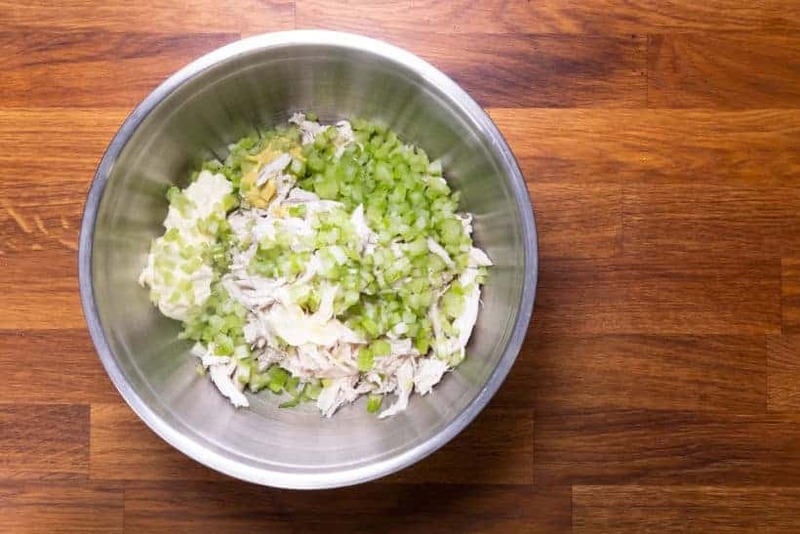 Place Instant Pot Shredded Chicken in a large mixing bowl. 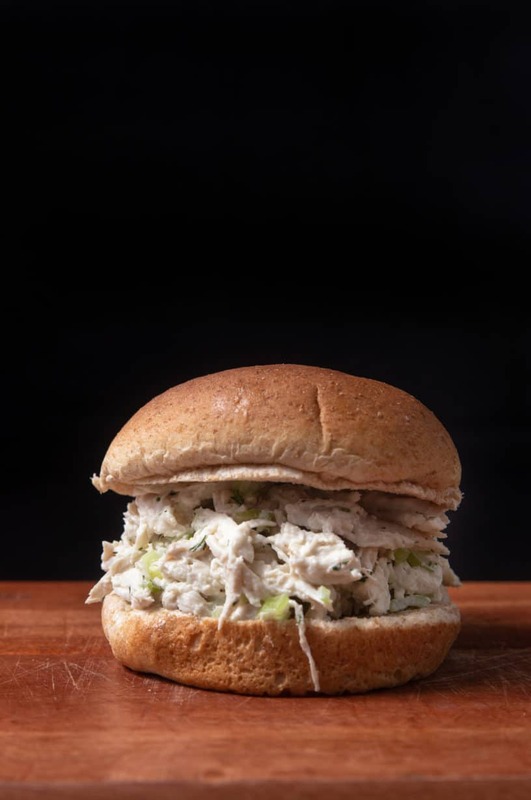 Add finely diced celery, 1 tbsp (15g) dijon mustard, and ⅓ cup (82g) full-fat mayonnaise to the shredded chicken breast. Mix well with a wooden spoon. Add in ¼ tsp garlic powder, 1 tsp (2.4g) finely chopped parsley leaves, 1 ½ tsp (3g) finely chopped dill, and 1 tbsp (15ml) lemon juice. Mix well with a wooden spoon. Taste & season Instant Pot Shredded Chicken with salt and black pepper. For reference, we added 4 – 5 pinches of fine salt. The pressure cooker shredded chicken can be served at room temperature or chilled. I have an Ultra Mini, so I used 2C liquid and 2 chicken breasts. Came out great using your recommended 0 minutes with 10-minute natural release. I cubed the chicken. Thank you! 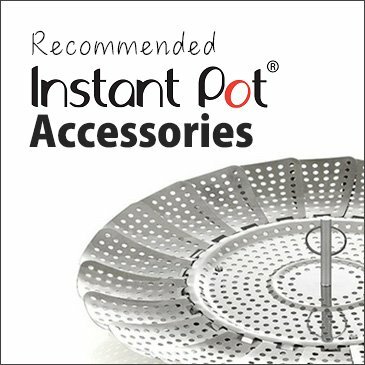 Best method I’ve tried forbshredded chicken in the instapot!! I followed this but feel like my chicken came out tough. It’s edible but not as moist as I would like. Would I add or reduce the time to make it not tough? Thank you for your question. Chicken breasts are tough when they are overcooked. I recommend reducing the cooking time. What is I am using chicken drum sticks? How long should I naturally release? Roughly 15 minutes will be fine. 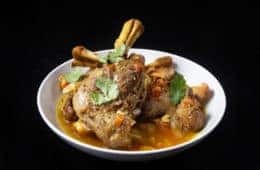 Would this method work with boneless chicken thighs as well ? Boneless chicken thighs will work fine with the same cooking time. I made this and tossed it in pasta for a chicken pasta salad. Everyone loved it! Thank you Amy + Jacky for another amazing recipe! Can this method be used with frozen chicken breast? I usually by the bags of frozen chicken breasts and always have those on hand. Thanks! We haven’t tested this method with frozen chicken breast, but I think 1 – 2 minute at high pressure will work. If the chicken breasts are not too thick and can submerge fully into the liquid, I think it will work just fine. You can always do this step if the chicken is undercooked. 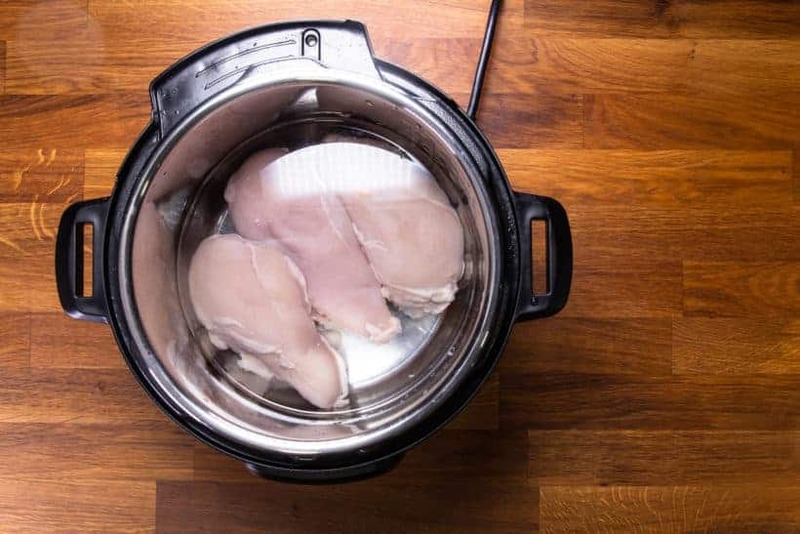 If the temperature is off by more than 10°F, quickly place the chicken breasts back in the Instant Pot Pressure Cooker. Close the lid, then let the residual heat in Instant Pot cook the chicken breasts for 1 – 2 more minutes. If not, let the chicken rest until it reaches 165°F (74°C). For reference, our chicken jumped to 165°F (74°C) after resting for 3 minutes. Do I have to make any changes in cooking time if I add one more chicken breast? You will want to reduce the natural release time by a minute for 4 chicken breasts. Hi, for the shredded chicken you mention cooking it in salted water but you only mention adding 4 cups of water and the chicken when cooking. Has salt been added to the water and if so, how much? Hehe no salt. It was a typo from another recipe. I have changed the recipe to reflect that.